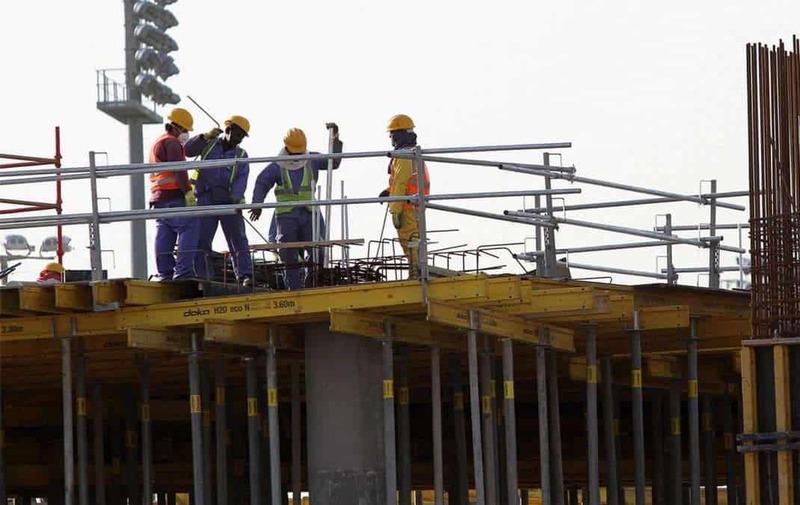 (Beirut) – Qatari authorities should adopt and enforce adequate restrictions on outdoor work to protect the lives of migrant construction workers who are at risk from working in the country’s intense heat and humidity, Human Rights Watch said today. Current heat protection regulations for the great majority of workers in Qatar only prohibit outdoor work from 11:30 a.m. to 3 p.m. during the period June 15 to August 31. But climate data shows that weather conditions in Qatar outside those hours and dates frequently reach levels that can result in potentially fatal heat-related illnesses in the absence of appropriate rest. International experts recommend work limitations based on actual weather conditions and the use of the authoritative Wet Bulb Global Temperature heat stress index to calculate appropriate work to rest ratios, not on predefined dates and times. Authorities also should investigate the causes of migrant worker deaths, regularly make public data on such deaths, and use the information to devise appropriate public health policies, Human Rights Watch said. In 2013, health authorities reported 520 such deaths of workers from Bangladesh, India, and Nepal in 2012, of whom 385, or 74 percent, died from unexplained causes. Qatari public health officials have not responded to requests for information about the overall number and causes of deaths of migrant workers since 2012. Qatar has a migrant labor force of nearly 2 million, who comprise approximately 95 percent of its total labor force. Approximately 40 percent, or 800,000, of these workers are employed in the construction sector. Since December 2010, when Qatar won its bid to host the 2022 FIFA World Cup, the country has embarked on a massive building spree – restoring or building eight stadiums, hotels, transportation, and other infrastructure. Qatari authorities have said they are spending US$500 million per week on World Cup-related infrastructure projects. In contrast to the rudimentary and inadequate heat laws for workers, Qatar’s 2022 FIFA World Cup organizers, the quasi-governmental Supreme Committee for Delivery and Legacy, in 2016 mandated work-to-rest ratios, commensurate with the risk posed by heat and humidity, for the workers building stadiums for the tournament. However, these creditable requirements only apply to just over 12,000 workers who are building stadiums for the World Cup – about 1.5 percent of Qatar’s construction workforce – and take no account of the effect of sunlight, which significantly increases the risk of heat stress. Supreme Committee officials told Human Rights Watch that they expect the number of workers on their projects to peak at around 35,000 by late 2018 or early 2019. “If Qatar’s World Cup organizers can mandate a climate-based work ban, then the Qatar government can follow its lead as a step towards providing better protection from heat for all workers,” Whitson said. The lack of transparency on migrant worker deaths has made it difficult to assess the extent to which extreme weather conditions are harming those working outdoors. A 2014 report that the Qatari government commissioned from the international law firm DLA Piper noted that the number of worker deaths in Qatar attributed to cardiac arrest, a general term that does not specify cause of death, was “seemingly high.” The authorities have failed to implement two key recommendations from that report. First, Qatar has not reformed its laws to allow autopsies or post-mortem examinations in cases of “unexpected or sudden deaths,” which the report says “should be performed” in any case of sudden or unexpected death; the law provides that autopsies may be performed to determine if the death was the result of illness, but should be expanded to explicitly authorize autopsies in cases of sudden or unexpected deaths. In addition, Qatari authorities have not commissioned an independent study into the seemingly high number of deaths vaguely attributed to cardiac arrest. Moreover, Qatar has not made public meaningful data on migrant worker deaths for four years that would allow an assessment of the extent to which heat stress is a factor. Qatari authorities responded to an inquiry from Human Rights Watch about deaths of migrant workers at workplaces with figures indicating 35 workplace deaths, mostly from falls, presumably at construction sites, for 2016. The government has not provided the total number of deaths of migrant workers in 2016, but partial information from sending-country embassies indicates that the yearly migrant worker death toll has been in the hundreds. International human rights law obliges all states to take necessary and reasonable steps to protect individuals’ right to life. This includes putting in place and enforcing legislation that provides effective protection to workers engaged in activities that pose a serious risk to life. States also have an obligation to collect information, undertake studies and compile reports about the risks associated with inherently dangerous types of work. The Supreme Committee has provided information on worker deaths for projects under its purview. Out of a total of ten worker deaths on World Cup projects between October 2015 and July 2017, the Supreme Committee classified eight deaths as “non-work-related.” It has listed seven of these deaths as resulting from “cardiac arrest” and “acute respiratory failure,” terms that obscure the underlying cause of deaths and make it impossible to determine whether they may be related to working conditions, such as heat stress. “As Qatar scales up its FIFA World Cup construction projects, authorities need to scale up transparency about worker deaths that could be heat related, and take urgent steps to end risks to workers from heat,” Whitson said. Qatari authorities should immediately replace the work ban limited to midday summer working hours with a legally binding requirement based on actual weather conditions consistent with international best practice standards. This should include rest-to-work ratios commensurate with the risk from heat and humidity exposure, access to shade, plentiful hydration, and the prohibition of work at all times of unacceptable heat risk. The authorities should engage heat-stress specialists in drafting legislation, which should include meaningful sanctions for non-compliance. Bahrain, Oman, Kuwait, Saudi Arabia, and the United Arab Emirates – the other five members of the Gulf Cooperation Council – all operate similar summer working hours’ bans that are not linked to actual weather conditions, and migrant workers in these countries are also vulnerable to similarly extreme temperatures. Qatari authorities’ strategy to mitigate heat-related risks to outdoor workers is limited to the 2007 decree prohibiting outdoor work between 11:30 a.m. and 3 p.m. during the period from June 15 to August 31, a rudimentary summer working hours ban. This system is demonstrably inadequate to address the very real heat-related risks that outdoor workers face due to very high temperatures in Qatar outside these hours and times of year. In 2005, a paper written by three doctors employed at the intensive care unit of Hamad Hospital and published in the Qatar Medical Journal warned of the dangers of heat stroke to “unacclimatized outdoor workers” and outlined recommendations to minimize the risks to worker health. It recommended that “national public health authorities need to update the current heat emergency response plans with emphasis on their ability to predict mortality and morbidity associated with specific climatologic factors and their public health effect.” Qatari authorities did not respond to questions about whether they have undertaken or funded any subsequent public health study into the health and safety risks associated with living and working outdoors in Qatar’s extremely hot and humid environment, and Human Rights Watch is unaware of any such study. Temperature readings do not, in isolation, accurately reflect the risk to workers from heat stress. Labor institutions in other countries and the global standards-setting institution International Organization for Standardization (ISO) use heat stress indices, such as the Wet Bulb Globe Temperature (WBGT), which measures the combined effect of temperature, humidity, wind speed, and solar radiation on humans. When the body generates heat faster than it can lose it, the core body temperature rises. An increase in core temperature beyond 39 degrees Centigrade creates health risks. ISO sets guidelines on exposure to help ensure core body temperature does not exceed 38 degrees Centigrade. ISO Standard 7243 uses WBGT as the heat stress index to specify recommended rest/work cycles at different physical work intensities: a WBGT of 29.3 means the ratio of work vs. rest should be 45 minutes to 15 minutes for an acclimatized worker doing moderately exerting work; when the WBGT reaches 30.6, the work-rest ratio should be 30 to 30; when the WBGT reaches 31.8, the ratio should be 15 to 45; and if the WBGT goes above 38, no work can safely be performed. The threshold levels are lower for workers doing strenuous work.